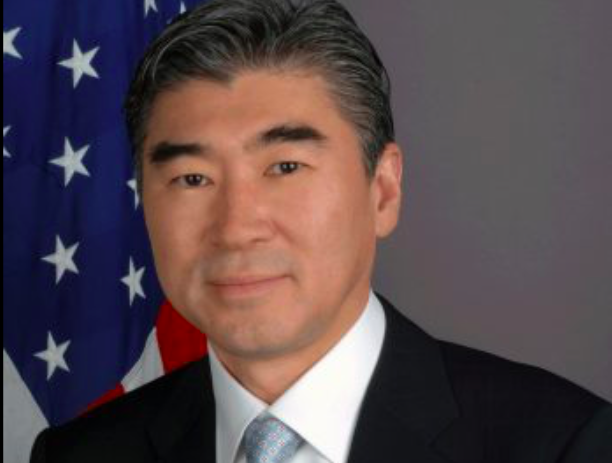 AMBASSADOR SUNG KIM: How do we ensure that our friendship, partnership, and alliance, forged over the past century, evolve to meet our needs a century from now? Last week, the US Embassy brought together top US, Filipino, and regional experts to ask this very question. The United States and the Philippines are Indo-Pacific countries. This region enjoys almost unparalleled levels of economic growth and expansion that offer remarkable opportunities to all of its nations. However, the Indo-Pacific faces manifold challenges that, left unchecked, could threaten regional stability and prosperity. How do we effectively maximize the region’s potential while avoiding the perils that lie over the horizon? I had the opportunity to open the two-day think tank conference on “The Future of the US-Philippines Relationship” with DFA Undersecretary Enrique Manalo and DND Undersecretary Cardozo Luna. In our remarks, we all agreed the best way to prepare our two countries for a promising but uncertain future is to do so together. Our long-standing ties have enabled us to achieve many shared successes. As the world changes, though, our relationship, too, must evolve to seize emerging opportunities and overcome unforeseen challenges. The Indo-Pacific region lives under the strain of terrorist threats and extraterritorial claims backed by increasingly sophisticated and lethal military assets. Security cooperation continues to be a centerpiece of our relationship, and conference panelists heralded the importance of the alliance. They recommended that as domestic and regional threats change, we should continuously evaluate and assess our shared priorities. Last month’s horrific attack in Jolo demonstrated the ongoing regional terrorist threat. I am proud we have been the Philippines’ staunchest counterterrorism partner. As these threats become more complex, conference panelists recommended we increase “whole of government” cooperation between local law enforcement, military, and border security counterparts. They also made several recommendations for combatting radicalization, including by developing stronger local leadership networks and improving local governance capacity. Our bilateral commercial engagement has fueled growth and created jobs, but all economic panelists agreed we can do more — and they’re right. The global economy is constantly evolving. Old markets close while others emerge, and innovation makes once essential skills obsolete. How do we best position ourselves to unlock the potential in our economic relationship, sustain growth, and capitalize on future market trends? ALSO READ: Duterte: South China Sea is in Beijing's hands, so why create friction? Panelists urged continued government-to-government cooperation to facilitate greater trade and investment, possibly through a future Free Trade Agreement, while encouraging the US private sector to take advantage of the Philippines’ growing economy, youthful workforce, and English language skills. They also called on the Philippines to do more to encourage foreign investment. While business services and agriculture have potential for expansion, so, too, does collaboration between our startup communities. Fantastic groups are creating a more robust startup ecosystem in the Philippines and linking technopreneur communities in Silicon Valley and elsewhere in the US with the Philippine market. There is considerable promise when our youth work together to identify community and business solutions. In addition to directly supporting entrepreneurship development through work with Philippine innovation hubs, we also will leverage exchange programs like Fulbright and the Young Southeast Asian Leaders Initiative to expand networks between our innovative creators. Under the Duterte Administration, the Philippines has boosted infrastructure spending to sustain growth and create jobs. There has been considerable global debate about international infrastructure financing, and conference participants shared their views. They all agreed that infrastructure projects should be transparent, high-quality, and sustainable. There were helpful recommendations for how our governments can unlock opportunities for US companies to become more involved in “Build, Build, Build”. The experts we brought together last week, including a group of emerging Filipino leaders, engaged in spirited debate and offered a range of ideas on the future of our relationship. While different experts offered different ways forward, there was unanimity on the most critical point: the enduring relationship between the United States and the Philippines is critical to securing our future security and prosperity. Mabuhay!